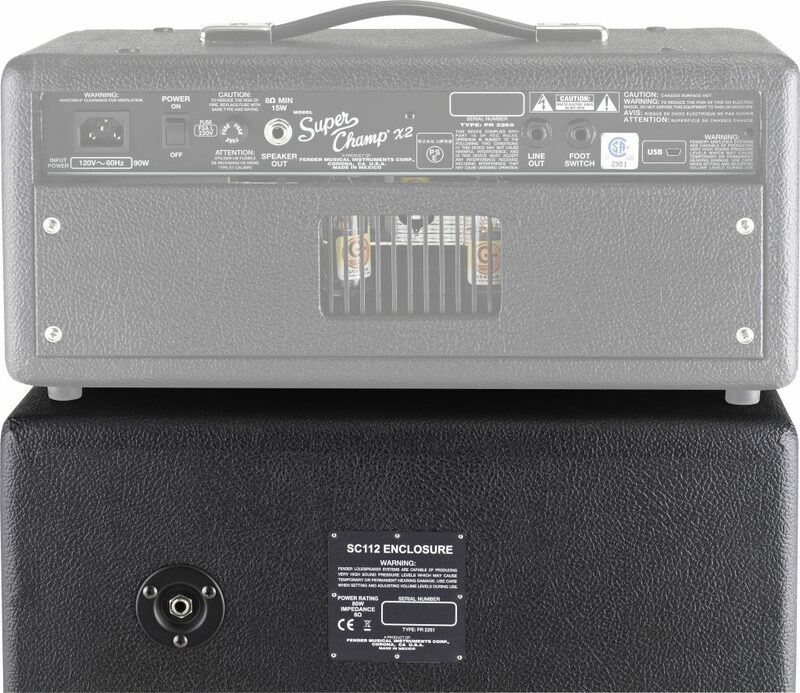 The SC112 Enclosure mates perfectly with the Super Champ X2 Head or other quality amplifier. Made in Ensenada, Mexico, it's compact and rugged; rated at 80 watts RMS (at 8 ohms) and featuring a single 12-inch Celestion G12P-80 speaker for tight, defined tone and a closed-back design for increased bass response. Note: Amplifier head NOT included. Overall: This cabinet is light and compact but packs a punch. 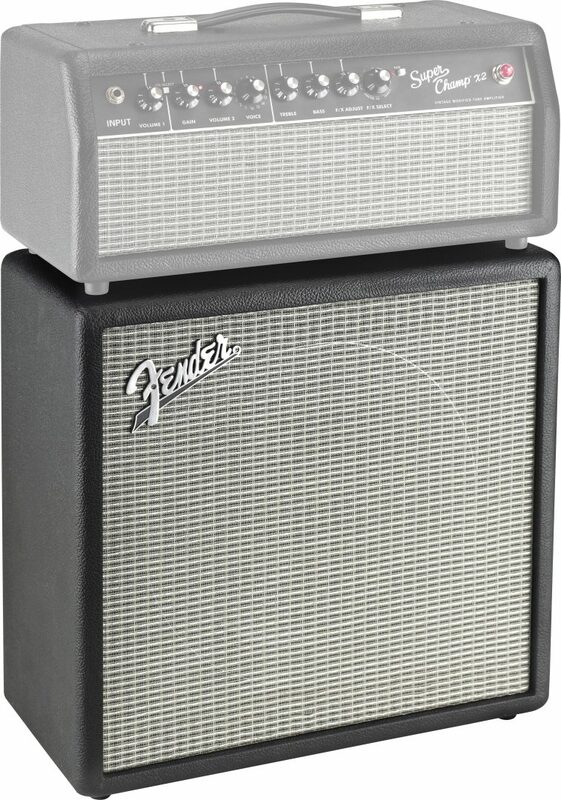 It has the G12P-80 speaker which is also used in the Fender Hot Rod Deville combo and cabinet. The enclosed back gives it a surprising low end. I wasn't expecting such a full and rich sound from a $200 cab but I promise you that you will not be disappointed. It does not have the highest quality wood but it has held up well for me and I crank my 15 watt SCX2HD everyday especially when I'm with the band. The low end is such that you will need to turn the bass down when playing with a band so that it won't get lost in the mix. If you bought the X2 combo, the 10'' speaker sounds much thinner. This cabinet will turn it into a completely different animal. You will not believe the difference. You won't find a better (new) cabinet at this price. Style of Music: Blues, Rock and a little Country. 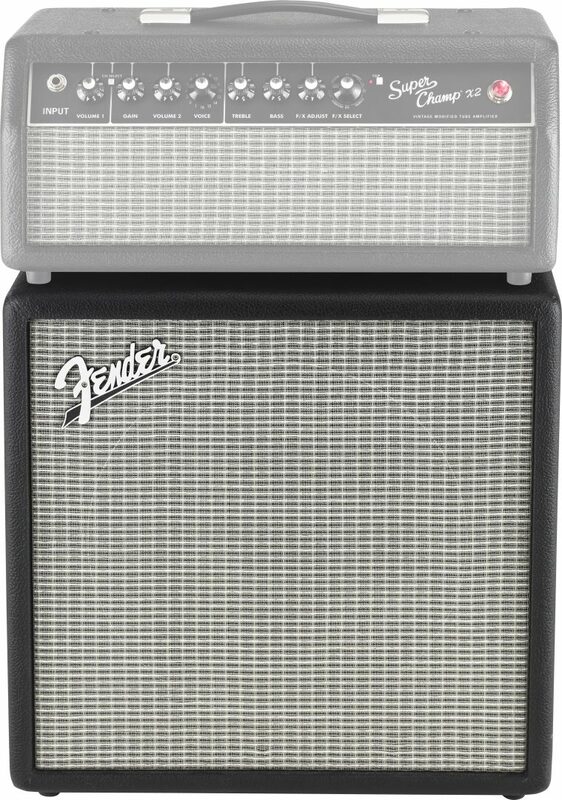 "Super Champ X2 Heas & Cab"
Overall: The Super Champ is a great little amp with many great features. Tweed champs, Deluxes, tweed and blackface, Princetons, Fender Jazzmaster clean solid state tone, and on and on. Vox's, Marshalls, etc. Many different versions of the amp's settings using the software as well. You can control the amp by choosing one of the many amp settings using the Fender Fuse software. 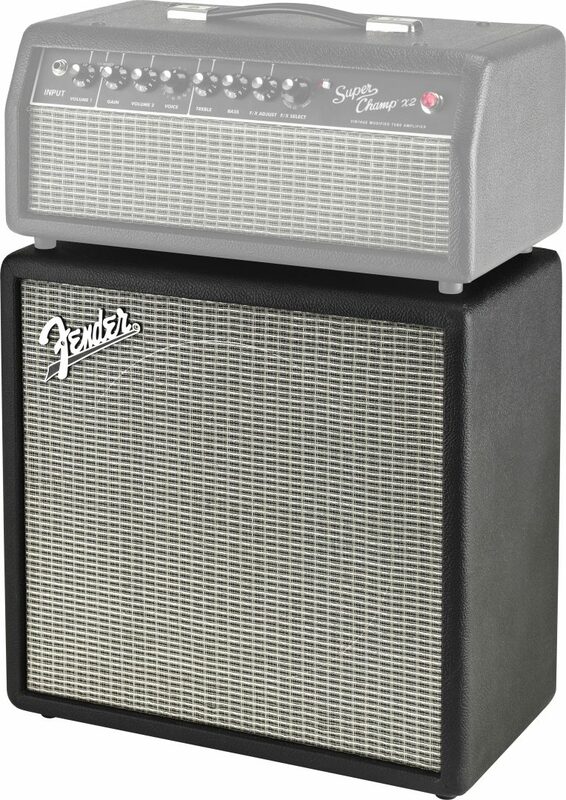 Fender doesn't include a cable from Amp to Computer. I love the amp and software. 6 of 7 people (85.71%) found this review helpful. Did you?